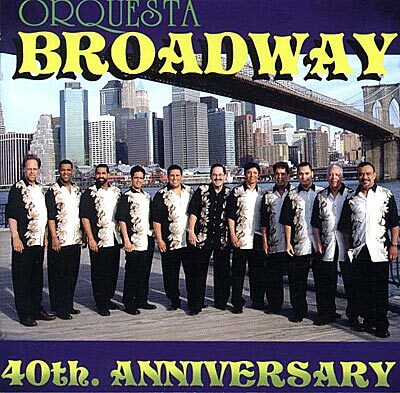 Orquesta Broadway, one of salsa music's best dance bands, will be celebrating its 40th anniversary with the release of its new, self-titled CD. The band is a charanga band, which means it has flute and violin, in addition to timbale, conga, guiro, keyboard and bass. This form of salsa reached its pinnacle in the early 1960's, which is when Orquesta Broadway was formed. As other band configurations replaced it, Charanga was in danger of becoming extinct, although most mambo aficionados will agree that it is wonderful to dance to.